Birdman has decided not to let popular recording artist and UFC fan Lil Wayne out of his record contract. 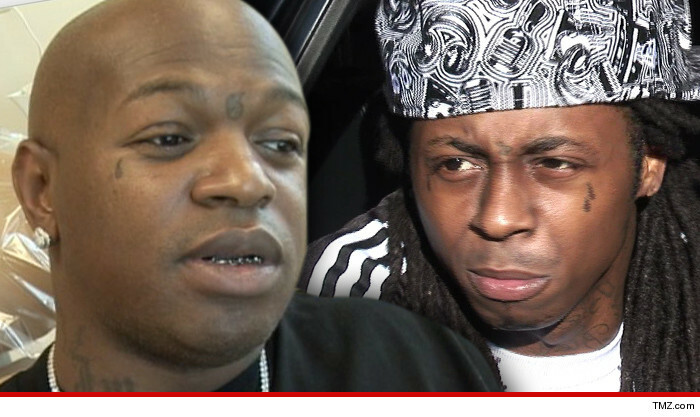 Weezy’s manager claims there is nothing going on, but there has been a verbal feud between the two for a while. That wasn’t always the case. Remember this kiss and the quote from Birdman that Lil Wayne better not be kissing anyone but him. Someone’s montage of “proof” Lil Wayne is gay. The kiss is in there so decide for yourself. We could care less what someone’s sexual orientation is, but if they are truly ex lovers this could get real dramatic real fast. Birdman slipping up on 106 and park and stating he’s the only one Lil Wayne should be kissing. I want off this label and nothing to do with these people. As for the delay in dropping the album, TMZ said Birdman stated there’s “lots of administrative work” that goes into releasing a record, and Weezy is just “another rapper” and not anything close to a businessman, so “what does he know?” Birdman says he does still intend to release the album, but on his time, not on Weezy’s. Wayne has been very vocal and even gone as far as calling himself a “prisoner of the Cash Money”.